2018 Bloomingdale Business of Character was awarded to Delish Cakes. Alicia Eisenmann, owner. 2017 Bloomingdale Business of Character was awarded to Catering with Elegance. 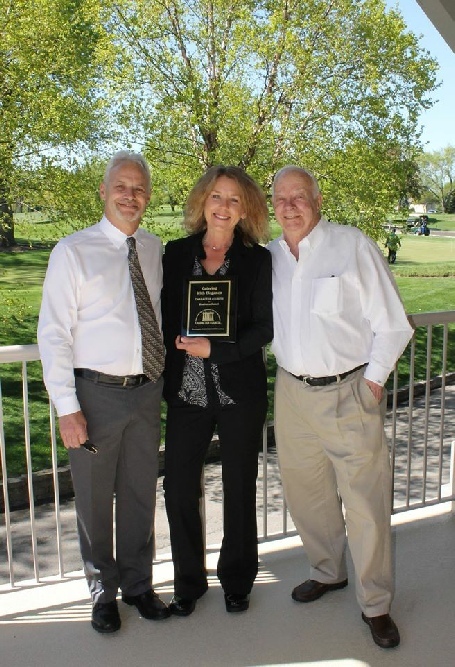 Pictured (l to r) Jeff, Karen and Don Helmig. The award was presented in recognition of the low- to no-cost catering services provided to numerous Bloomingdale charities and organizations, onsite at the Bloomingdale Golf Club and offsite at Medinah Shriners (BCC!Coalition, Bloomingdale Chamber of Commerce, Lions, Senior Fair, etc). Pictured right (left to right): Mira Jasiewicz, Emily Rickman, and Aurora Garcia. The recipient of the 2016 Business of Character Award was Alden Valley Ridge for the many years that their Food Services Department has provided a delightful spread of complimentary refreshments at the annual Memorial Day Celebration. Masterpiece Framing has assembled complimentary mattes for the Lions Club environmental photo contest since 2005. The owner, Matt Pulchalski, also serves as a contest judge, and is a silent partner for the event providing a professional photo display. Last year, Masterpiece Framing donated a limited Thomas Kinkaide painting of Wrigley Field to the Boy Scout Council for their silent auction. 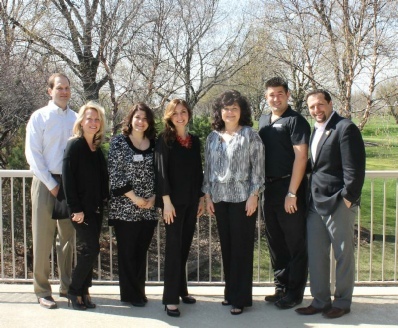 Bloomingdale Bank and Trust received the 2014 Business of Character Award, for their commitment to the CC! Coalition since 2008, support for many community organizations, including the Lions Club, Park District (Movies in the Park), and Bloomingdale Chamber of Commerce (new member breakfast, ambassador meetings, golf outing sponsorship, 50 Men Who Cook, and student scholarships). The bank provides more than financial support. They are also present at many community events, and exemplify the Pillars of Character in their hiring practices, customer service, financial investments and support. 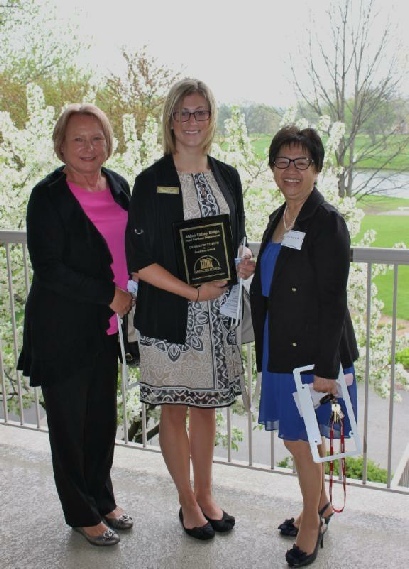 Bloomingdale Pharmacy received the Fourth Annual Bloomingdale Business of Character Award for their friendly, caring and knowledgeable service. Upon entering the pharmacy it is apparent that the employees function as a family who know customers on a first name basis and many by voice when they call. Bloomingdale Pharmacy has been active in the community for many years and a longtime supporter of the Bloomingdale Lions Club and Historical Society. 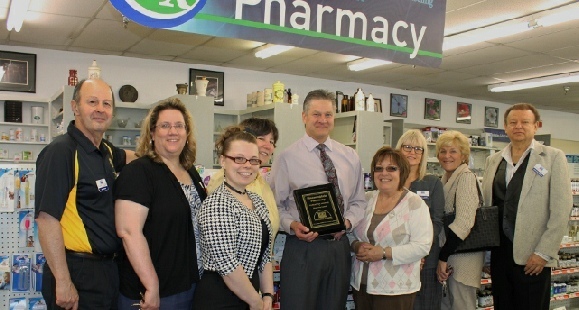 Pharmacist George Thies was presented the award at the Pharmacy by the Coalition. 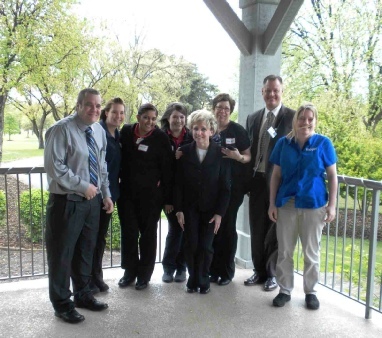 Meijer team headed by Terri Martin. 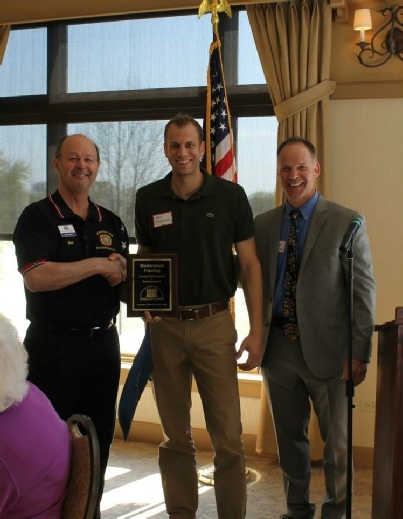 Award given in recognition of Meijer’s participation and generous donations made to the Bloomingdale Shop with a Cop, National Night Out, Lions Club Easter Bunny Event, Westfield Middle School Student Council Sharing Tree, various local families in need, as well as the Bloomingdale CHARACTER COUNTS! Coalition. McElroy Pediatric Dentistry, Ltd. - The second annual Bloomingdale Business of Character Award was presented to Dr. William McElroy (3rd from left) and Dr. Jennifer Campbell (2nd from left) of McElroy Pediatric Dentistry, Ltd. The award was in recognition of the informational presentations conducted annually by both doctors on a voluntary basis for the Bloomingdale Park District's 220 preschoolers. 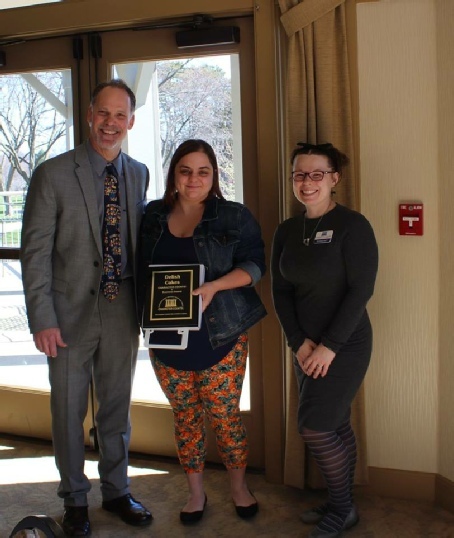 McElroy Pediatric Dentistry, Ltd. was further recognized for caring and eagerness to interact with children as exhibited by all employees on a daily basis. 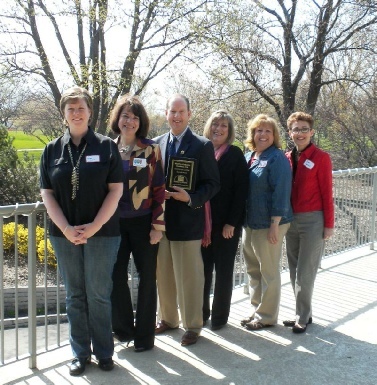 Pictured let to right: Beth Voyles, Dr. Jennifer Campbell, Dr. Bill McElroy, Denise Hoshor, Kathy Witowski and Lauren Plasschaert. Rooster's Restaurant New to the program in 2010 is the Bloomingdale Business of Character Award, which was presented to owner Frank Cook and manager Terri Zak of Rooster's Restaurant. Rooster's received the award in recognition of the quality customer service demonstrated by their staff, and for their ongoing support and commitment to the Bloomingdale community through their dedicated and generous service in various community events, such as the Library Fish Fry, Bloomingdale Historical Society, Bloomingdale Police Department, etc. 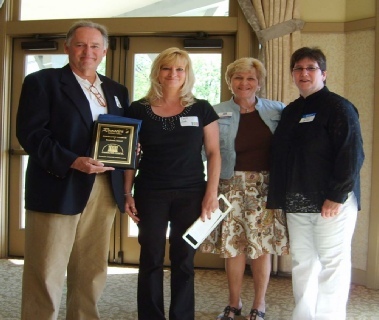 Pictured left to right: Frank Cook, Terri Zak, Sherry Douglas and Nancy Butler.